Hello Savvy Southern Style readers! 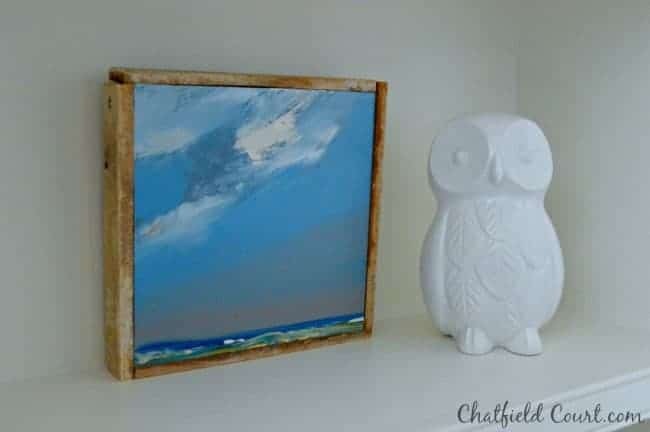 I'm Kristi and I blog over at Chatfield Court. 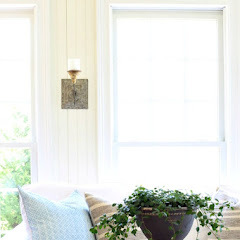 I've only been blogging for a little over a year but I've been following Kim decorate her beautiful home for many years. When she asked me to share my favorite room with her readers, I was beyond thrilled and didn't hesitate to say yes. 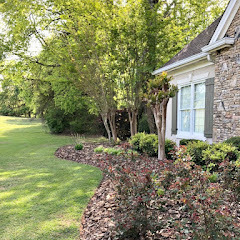 My husband and I moved into our small brick ranch 14 months ago, the same day I started my blog, and I've been busy painting, DIY(ing), putting up crown molding and slowly decorating all of our rooms. There's still so much I need (and want) to do but I do have a room that's (almost) finished that's a favorite ...my guest bedroom. Not really a typical favorite room and it's not like we spend a lot of time in it, but when I walk in every day the colors just makes me happy. I usually play it safe and go light and neutral with my paint choices, so it took me a while to decide if I should go so bold. I'm glad I took the chance and went for it because I really love it. This light filled room was painted in a pinky beige when we moved in but it had a beautiful built in bookcase and crown molding already installed, they just needed some fresh caulk and paint. The wall color was the big change in the room and our color choice was Martha Stewart Plumage mixed in Benjamin Moore paint. I'm a huge neat freak and not one to have a lot of stuff around so decorating the bookcase was a little bit of a challenge for me. I wanted it to look pretty but without a lot of clutter. 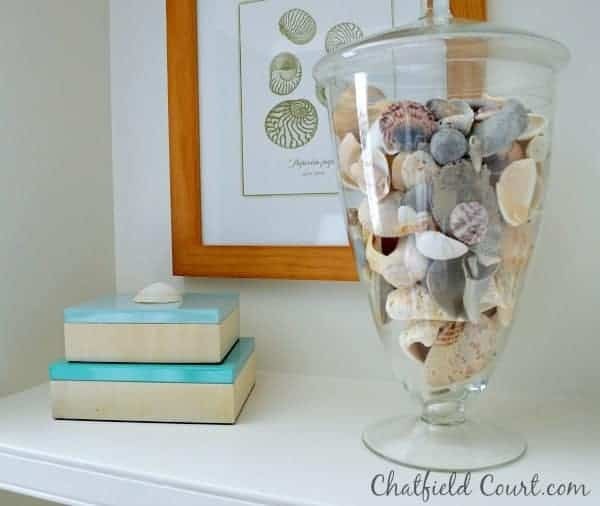 It's constantly changing but I do make sure that I only display things I love, like the shells that were collected by my husband, my 2 daughters and me during our annual Christmas eve beach strolls when we lived in Florida. Even though they have left the nest, I think of them every time I look at the vase. It may take me a while to finish decorating the bookcase and finding some great artwork for the walls, but that's what makes it fun...the thrill of hunting and finding that one perfect piece. This is a small room so the only pieces of furniture that comfortably fit are the bed, that we bought at a flea market a few years ago, a nightstand and a small stool. My daughter used the nightstand for years but it needed a little help. Instead of buying new I decided to give it a little makeover using paint sticks, stain and wood glue. It turned out better than I had hoped and it was such an easy and fun project to do. That's it for my guest bedroom. It may be a small but it has a big personality and my only hope is that our guests will be comfortable and love it as much as we do. Thanks for touring my favorite room with me and a huge thank you to Kim for having me over. I would love it if you would come visit me at Chatfield Court to see our progress and to say hi! Thanks, Kristi for sharing your very pretty guest room. I love the bold color you chose and I am sure any guests will be quite comfy in there. 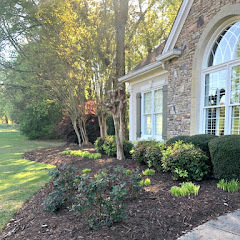 I hope y'all will pop over to Chatfield Court and say hi to Kristi and check out more of her home and projects. The dark blue just makes that room shine! 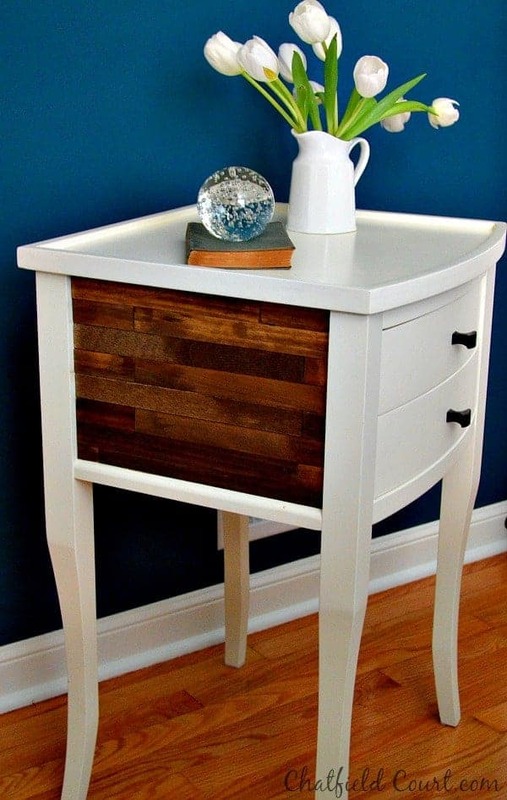 I also have always liked that nightstand and what you did with it. I love love love that beautiful wall color!!! 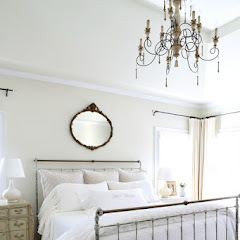 It's gorgeous with the crisp white of the trim, built-ins and bedding! I also love the throw pillow for a little more color, the combination is so pretty. 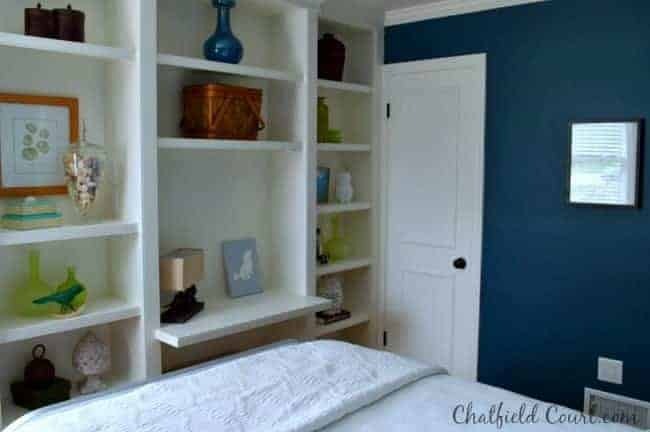 Love the blue you chose for the walls and what a great built-in!! Such a pretty room! The wall color is so bold and new, I really like it. 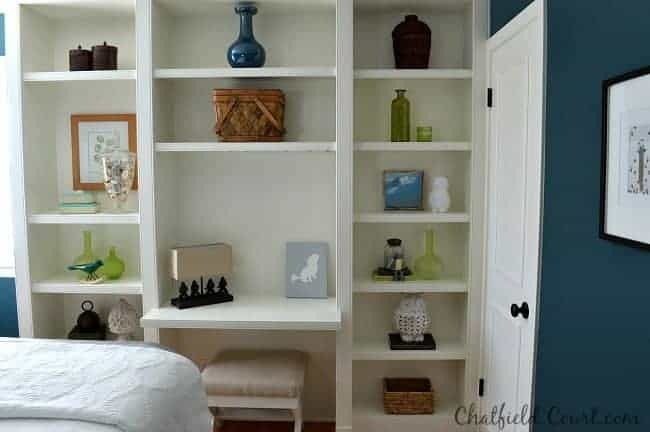 The built in bookcases keep things light looking and so interesting. Anyone would be luck to stay here! Kristi's guest room really looks inviting! I love her use of a bolder color on the walls. It really makes the lovely bookcases stand out! 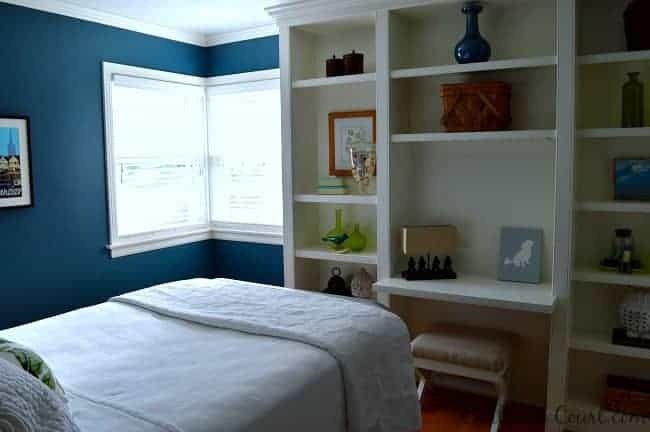 Oh I love the bold colors of Kristi's guest room....and love the built-in bookcases...any guest would be very happy staying in that beautiful room!! !...Thanks for another great feature today...Have a great weekend Kim and Kristi!! 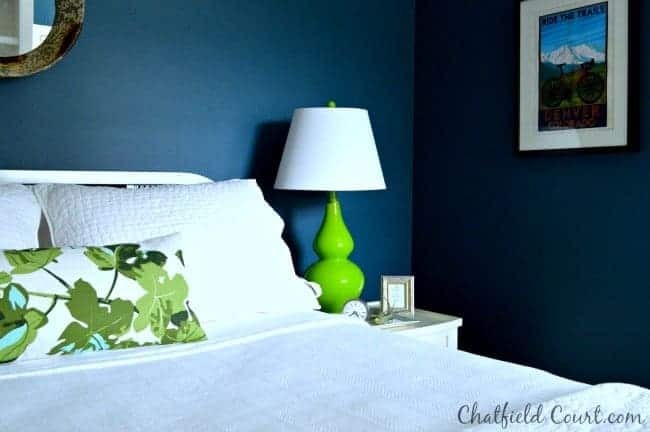 Love the bold blue color Kristi choose for the guest bedroom. 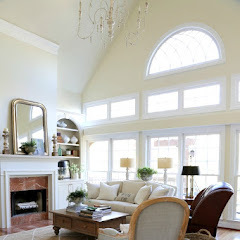 The color really pops with all the accents of green and white in the room. 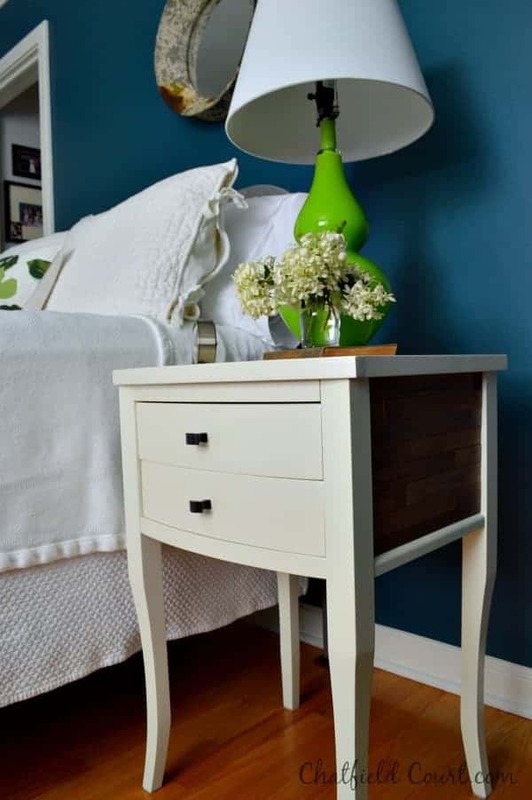 The nightstand makeover rocked as well! I can't believe she is celebrating her 29th wedding anniversary.... she looks so young! 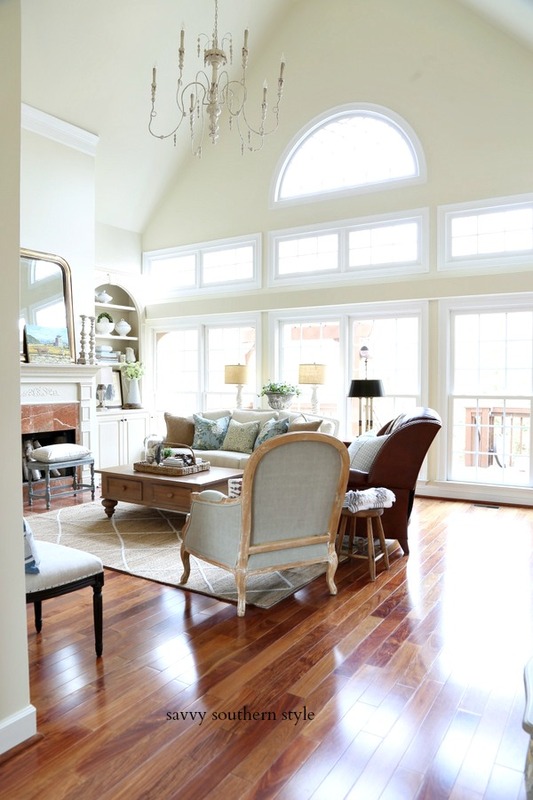 love the rich jewel-tone color of the room and all the little details. Thanks for sharing! Pretty room. I painted my living room that color and I had the hardest time making it work... this bedroom however is soooo pretty. The whites and greens plus the tans look amazing. Great feature Kim. Love the pops of green with the blue walls! 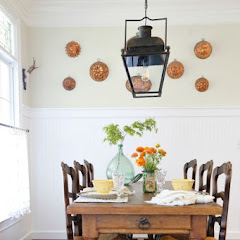 So pretty and I would love to have some built-in like Kristi's!